Instead of clogging up another thread with my stuff I'd figure I would just add a thread all to my self. 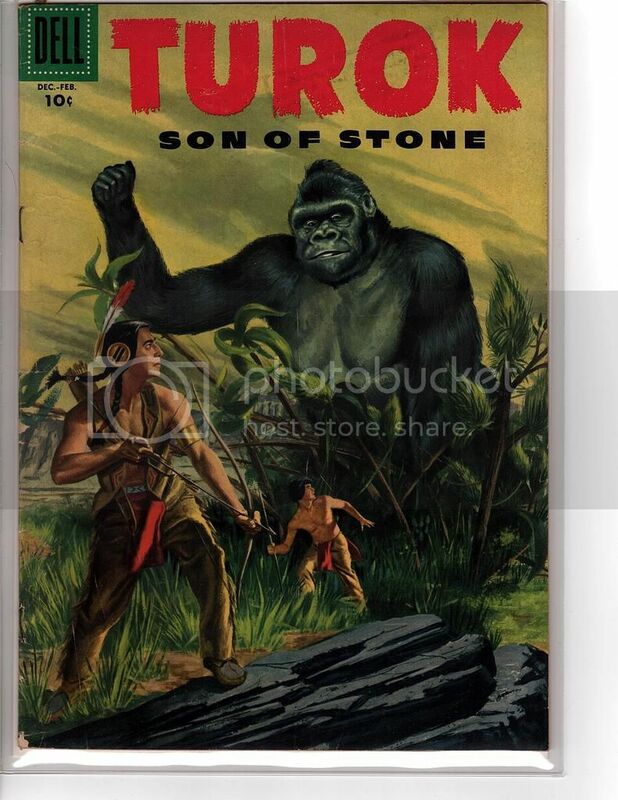 I'll be posting books from my PC. Okay, here we go. 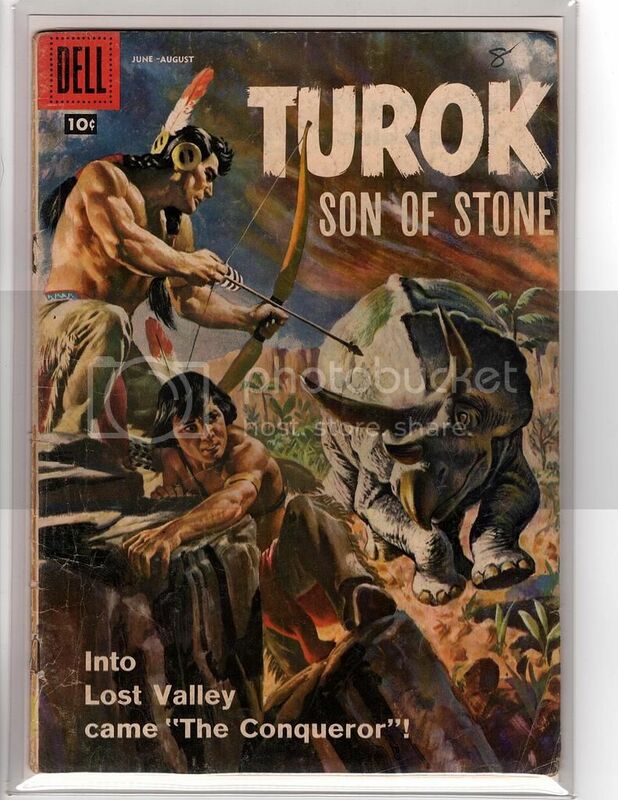 First set of books will be part of my Turok collection. 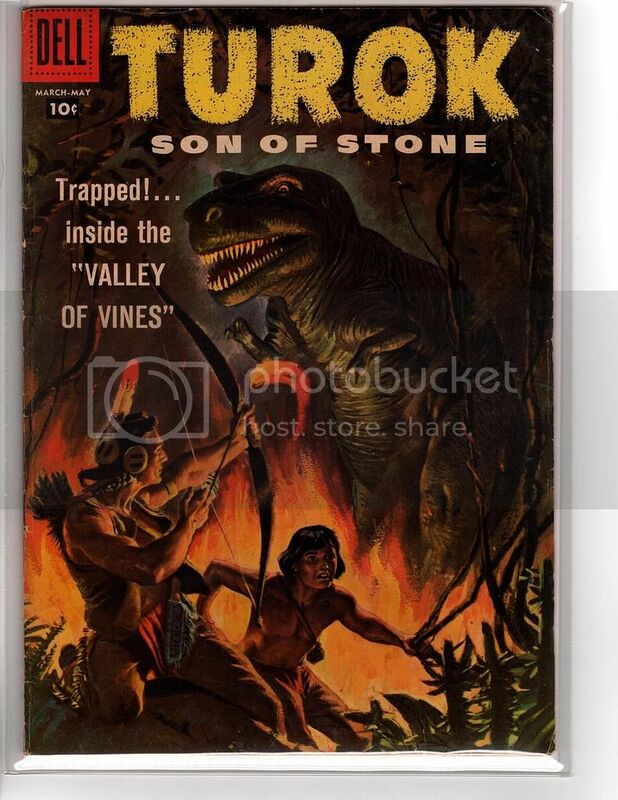 I was a big fan of Turok back in the Valiant era which is what caused me to go after the original books. 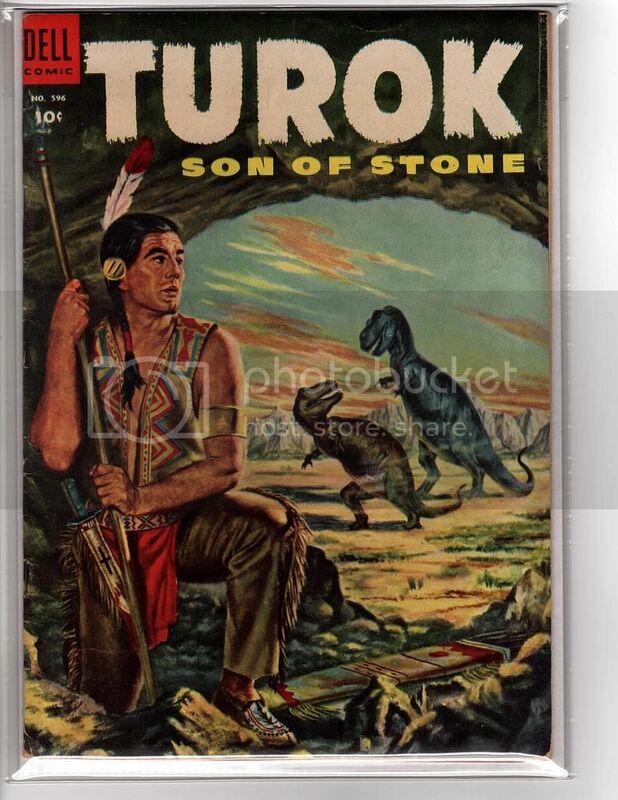 Some of the painted covers are just beautiful especially the dinosaur covers. 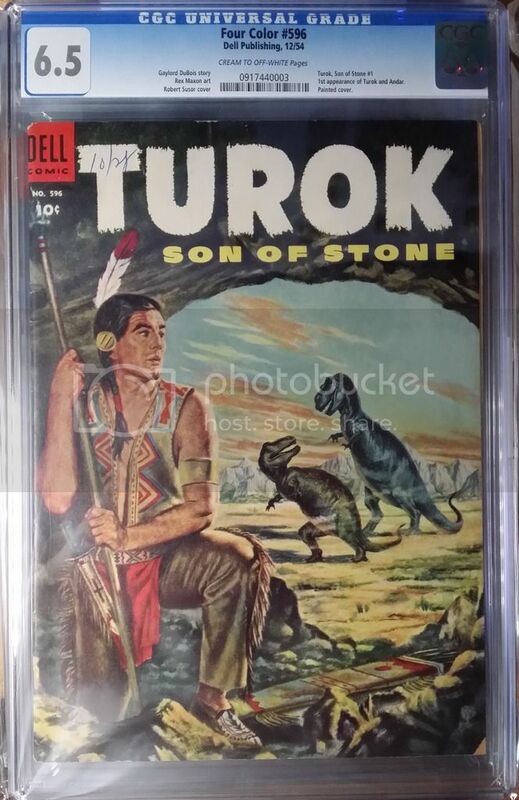 I'll start off with the first issue, Four Color #596, Copy A.
I liked that book so much that I got myself a second copy. 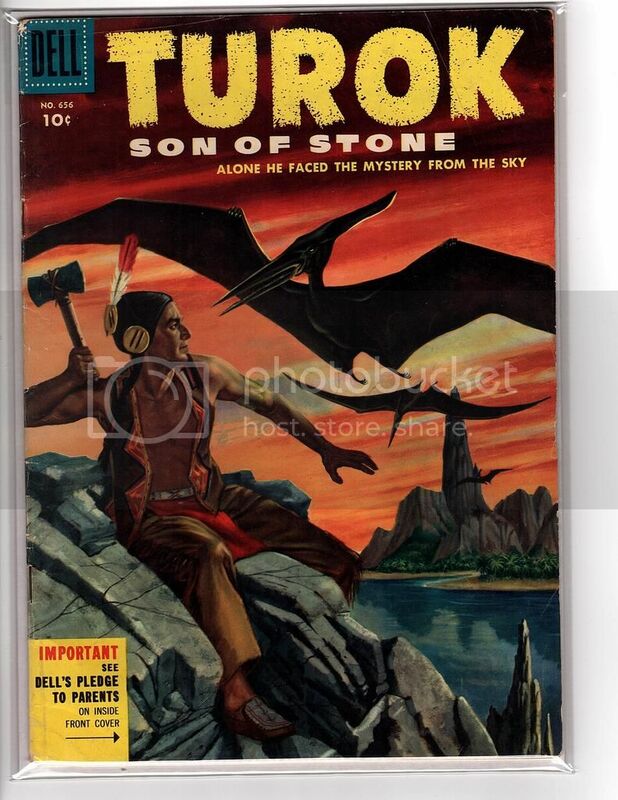 Next up is Four Colors #656 (2nd issue). My slightly better copy of #2. 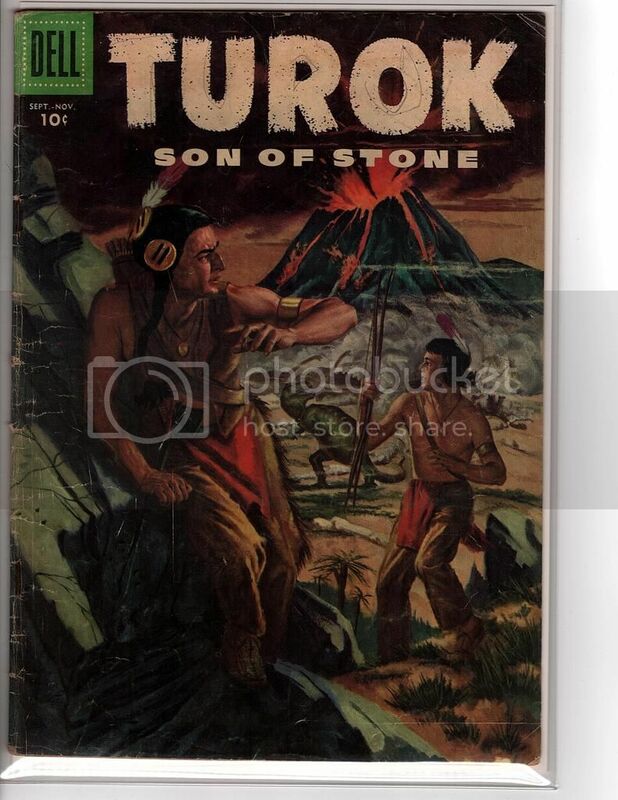 A lower grade copy of #3. #4 - some corner creases, but not extremely bad. 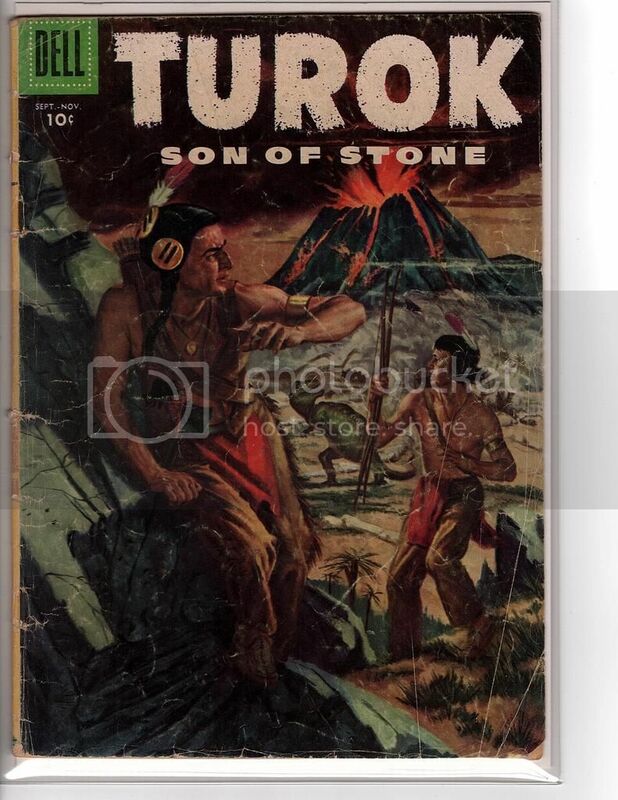 A rough copy of #5. 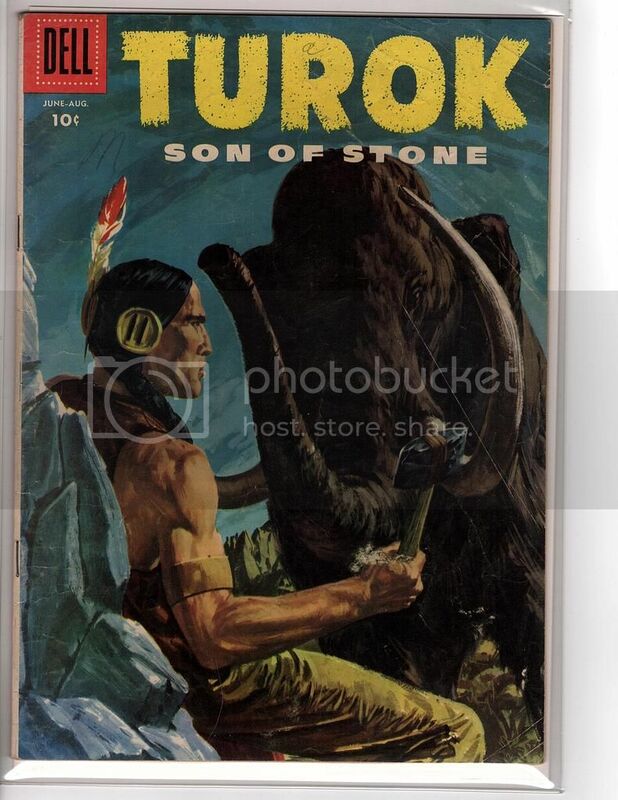 This one is a better copy of #5. 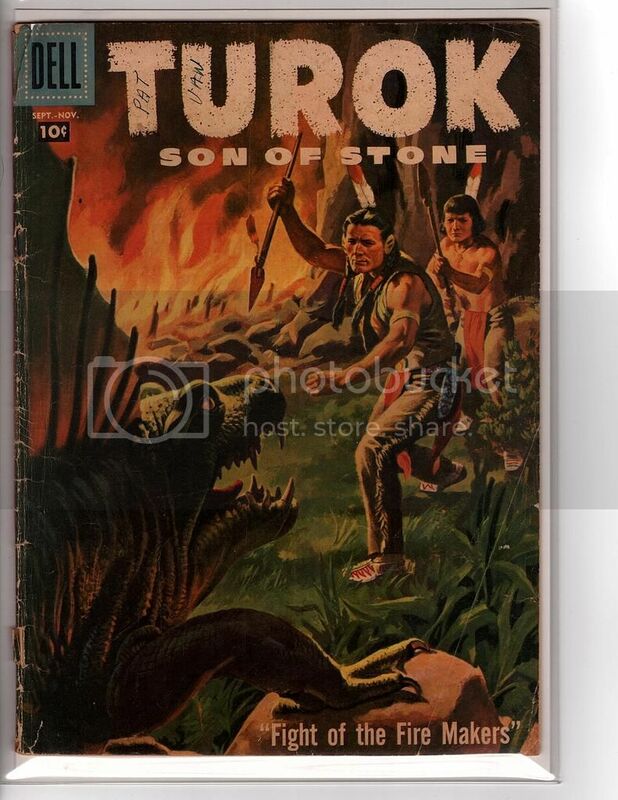 Turok #9 - 15 Cents Cover. I don't know if there is any difference in value between the two but I know there are fewer of the 15 Cents version for sale compared to the other. 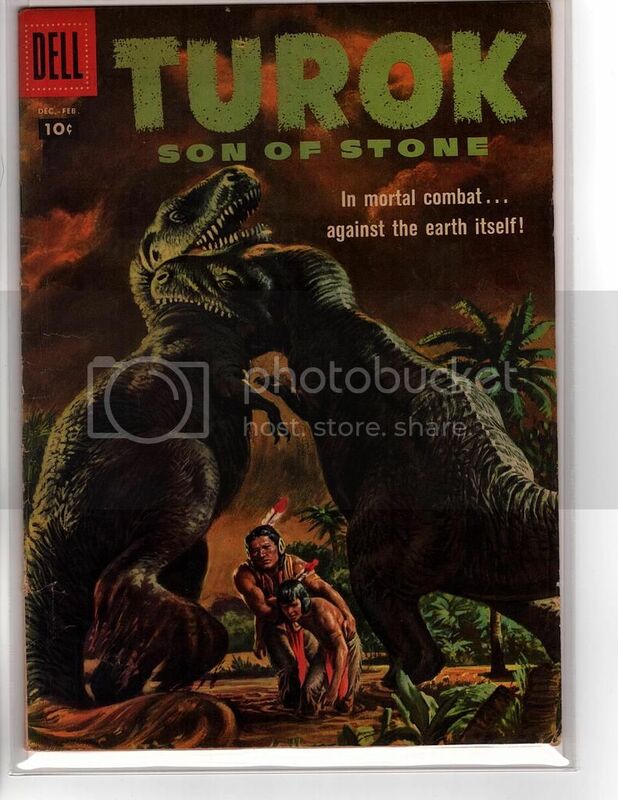 One of the coolest dinosaur covers of the run. 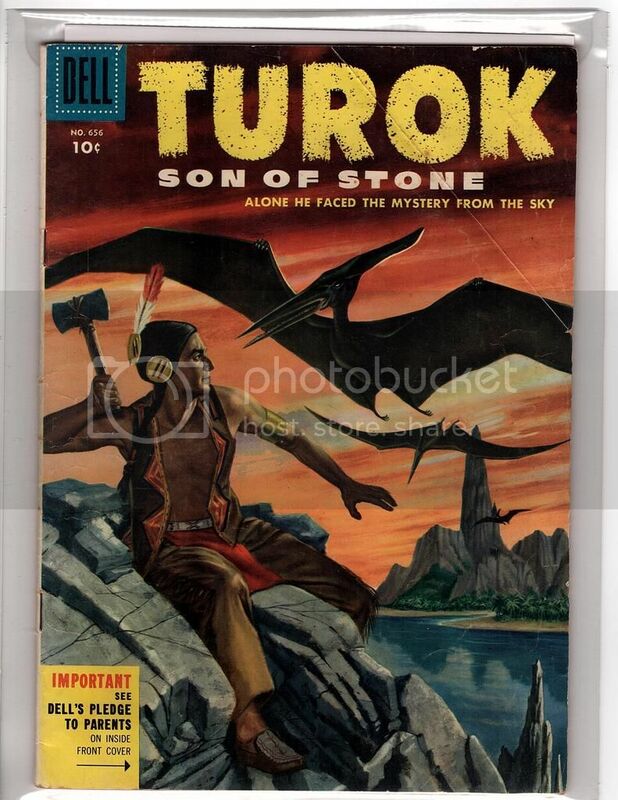 Turok #10. 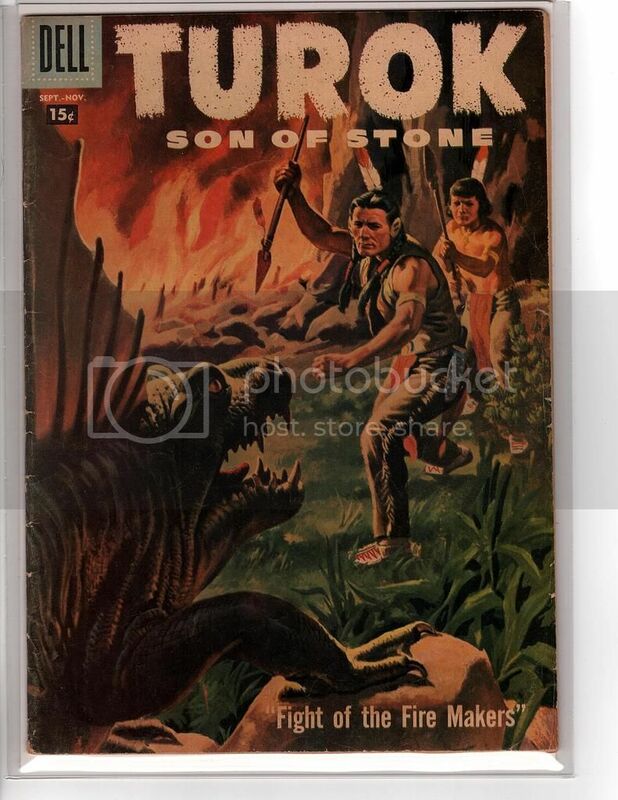 Another cool dino cover that was used on the Turok One-Shot. 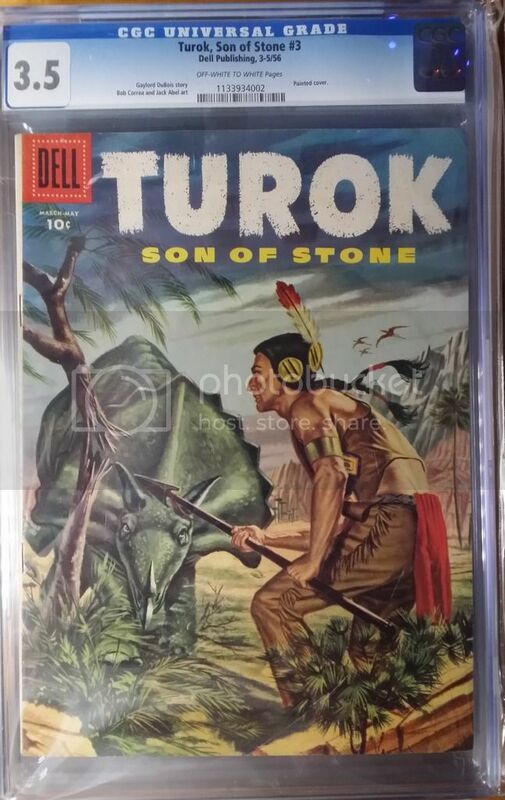 Turok #10 - 10 cents cover.